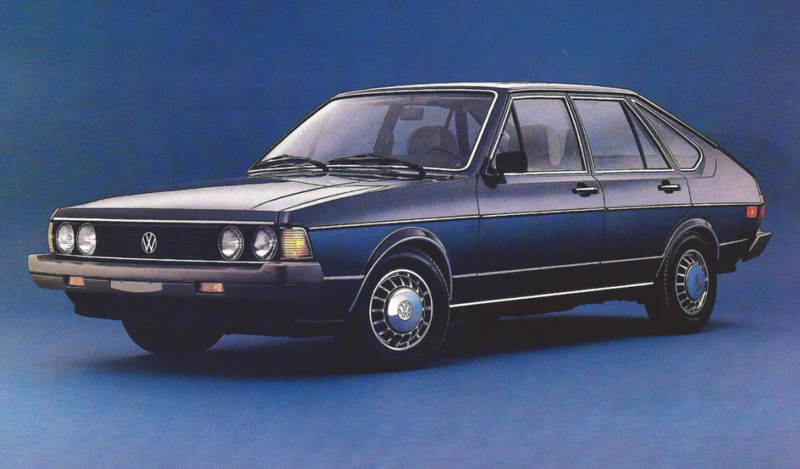 While doing research for another article, I was astounded to learn how far today’s diesel-powered cars have advanced over the diesels of the Eighties. The old diesels were noisy, smelly, and slow, and they often didn’t start on dead-of-winter days. The fuel would turn to jelly. Today’s turbodiesel cars, which are sold in the U.S. only by German automakers (Audi, BMW, Mercedes-Benz, and Volkswagen), are quiet, reliable, and remarkably fuel efficient. But what makes me chuckle is how much faster they are off the line. A 2012 Volkwagen Golf TDI has a 0-60 time of 7.9 seconds. That’s about a second and a half slower than the gas-engine Golf, but it’s light-years better than the old diesels could muster. And the slowest of all was the ironically named . . .
1979 Volkswagen Rabbit (Diesel) 21.2 seconds! More than half of the cars on the road in Europe today are diesels, but in the U.S. diesel has long been a dirty word. It has taken over 30 years to get the smell, noise, and general distaste of the old diesels out of our collective consciousness. Written by: David Aretha on May 3, 2012.on January 3, 2018.